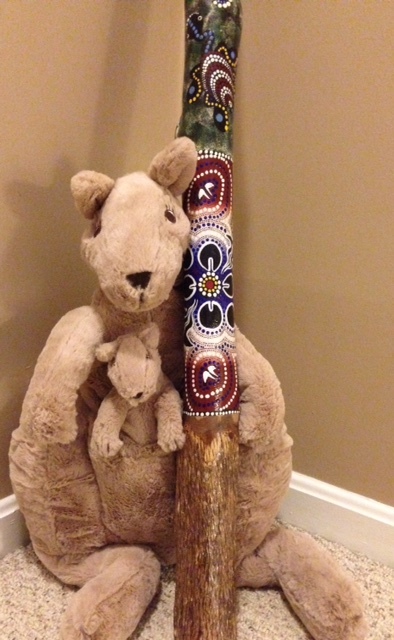 Did you get the Aussie Prayer Kanga? If so, click HERE and put your name in the Google spreadsheet so Cru knows you have it and who it's going to next. 1. First week of classes for the Aussie universities is actually the first week of March (remember, their seasons are flipped). Pray for AussieCru staff and students to meet lots of new interested students. Then pray for continued follow up to happen after the kick off. 2. Did you know there are four Maryland Cru alumni working with Power to Change (Cru) in Melbourne in 2018? Let's lift them up in prayer - pray for God to draw them intimately to himself this year as they're on mission, for perseverance in their efforts to bring the gospel to the Aussies on the campus of RMIT, for good communication and supernatural love for one another this year, and for God's provision for all of their needs. Pray for them by name: Andrew, Maddie, Jonathan and Emily, as well as Kim from PA. Pray also for Chad, another Maryland Cru alum who is raising financial support to minister in Melbourne for 3+ years. 3. Some Aussie stats to consider as you pray - There are nearly 200,000 university students in the city of Melbourne. Roughly 50% of the population is international, coming from 180 different countries around the world, such as China, Malaysia, Vietnam, Sri Lanka, India, Greece, South Africa. 116 different religious faiths are represented... so to take the gospel to Melbourne, you have the opportunity to take it to the nations. 4. More to consider - Melbourne is highly irreligious and secularized. Many Aussie university students do not know a single person who follows Jesus. They don't even know who to ask if they were curious. They have virtually no access to the gospel. Cru Study Abroad. Already planning to study abroad? Did you know that the University of Maryland already has a partnership with Melbourne University and Royal Melbourne Institute of Technology where Terps are studying abroad? Imagine studying abroad, getting credit and being intentional to help Cru in Melbourne. Check out the CruAbroad site for more details.